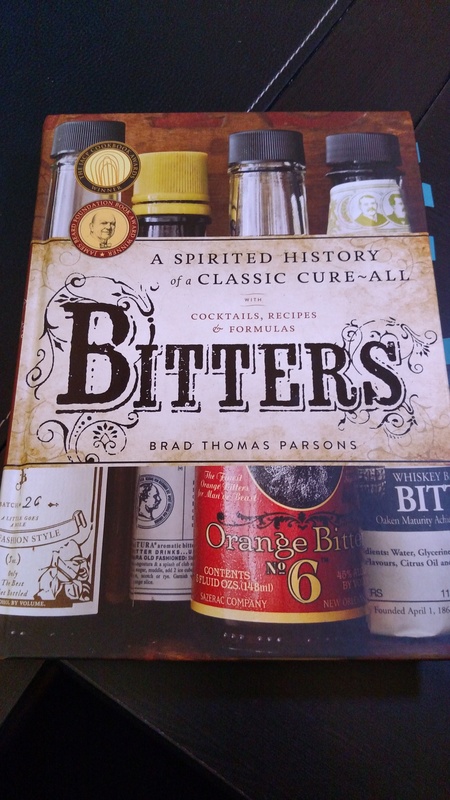 Ok, the full title is really “Bitters: A Spirited History of a Classic Cure-All, with Cocktails, Recipes, and Formulas”, but that seemed a little long to put into the title of this post. I’ve increasingly been getting into the use of bitters behind the bar, so when I set out to purchase some books to grow my cocktail knowledge, and to inspire ideas, this seemed like the logical place to start. I shouldn’t have waited so long to buy this book. This book presents itself in several phases. First is the education part, with, as the full title would tell you, a history of Bitters, from their use as a cure for whatever ailed you to their modern use in cocktails. Following that is recipes for creating your own bitters. There are a lot of good recipes in this book, along with directions on creating specific ingredients (like dried fruit rinds) for when you want to experiment with your own Bitters recipes. Finally there are recipes that use bitters, both Cocktails and an In the Kitchen section. I recently revamped the cocktail menu at my bar, and I pulled heavy inspiration from this section, both for ways to put a twist on the classics (like a few dashes of Celery Bitters in a Gin Martini), to finding inspiration for new cocktails (the recipe for The Long Hello gave me an idea for a cocktail that I’m calling The Long Good-Bye). As you can see from the photo above, my copy of the book is covered in tabs for recipes and formulas that jumped out at me. Right now I’m just experimenting with using bitters that others have made (Angostura, Peychaud’s, Orange, Celery, Chocolate, and Lavender to name a few), but after Thanksgiving is over I plan to start experimenting with making my own bitters (with at least one post to follow I’m sure). If you have even a passing interest in the new craft cocktail scene that has taken over bars, this is definitely a book for you. You can find it at your local Barnes & Noble, but to be honest, it’s about $10 less expensive when you order it on Amazon.com (Bitters: A Spirited History of a Classic Cure-All, with Cocktails, Recipes, and Formulas ).